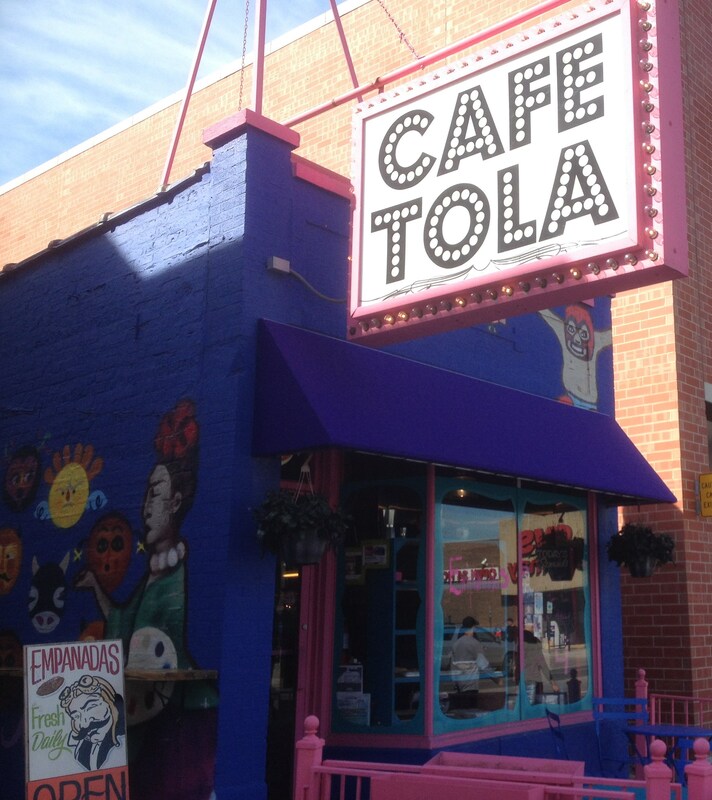 Over on Southport Avenue about 10 minutes walk away from the Southport CTA station on the Brown Line is Café Tola. Tucked away alongside the big Jewel Osco supermarket, between Waveland Ave & Addison St. was this really good find, a little café serving up some authentic, rustic even, empanadas. 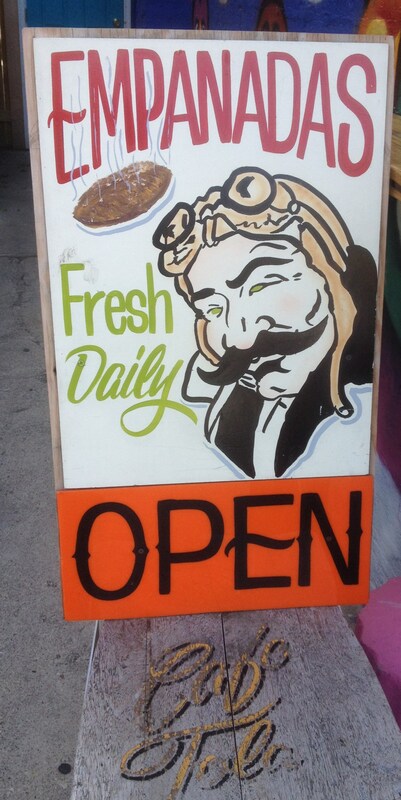 I got here a little late in the day towards 3pm so they didn’t have the full selection of empanadas left on offer. They had enough though so that I could try a little taste of what they were serving up to the folks on Southport. 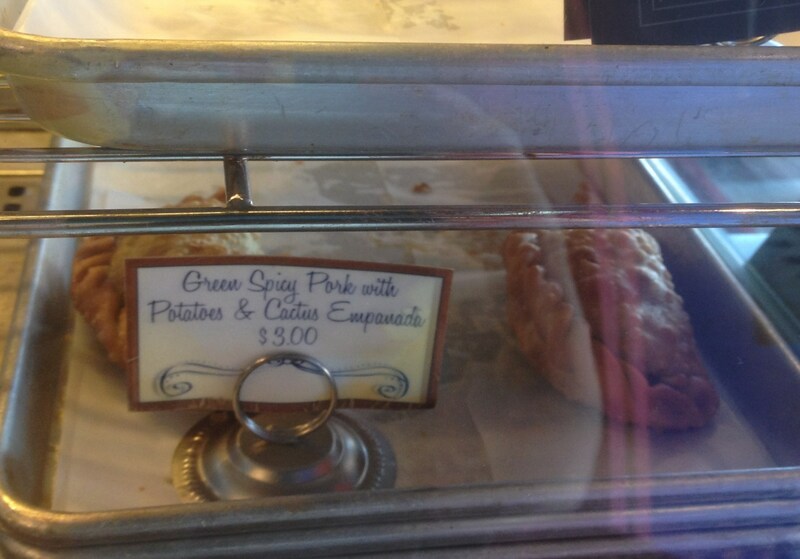 I am not sure that I should tell you about the best of the empanadas first, you might not want to read any further. 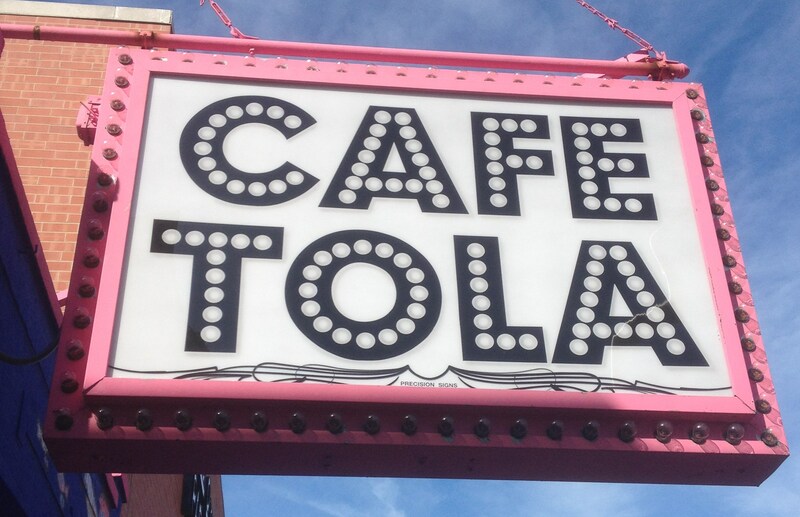 That would be OK though because if you take my advice and head over to Café Tola to buy one of their Spicy Pork empanadas with Potato and Cactus, then I am sure you will be tempted into trying one of the other empanadas that they have on the counter. 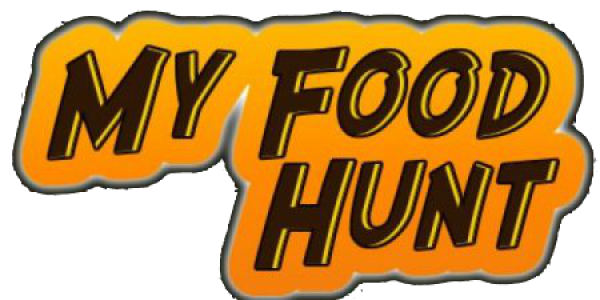 It was a pretty juicy filling, almost gravy like, with plenty of shredded almost chunky beef. I am not sure what the cactus was supposed to bring to the party, all I can say is that it worked and I did like the filling of this empanada a lot. Considering that the other two empanadas I bought had very similar sounding fillings, basically ham and eggs, they ended up being very different. 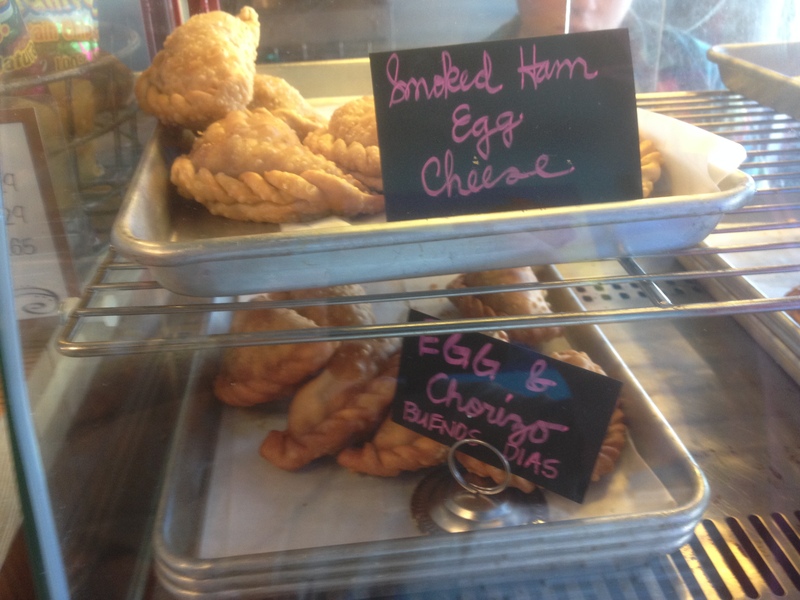 The Smoked Ham, Egg, and Cheese Empanada was basically a classic breakfast filling. Creamy scrambled egg, all salted up from the smoky ham, and kept moist and randomly chewy by the melted cheese. 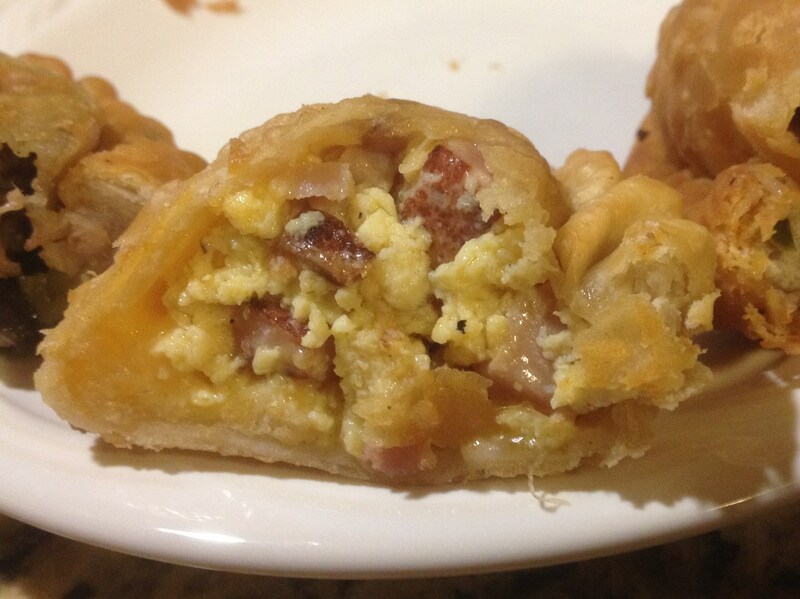 The last empanada I ate was basically just egg and chorizo, the meat was chopped so finely and mixed with the egg, it ended up being quite a solid sausage filled empanada. 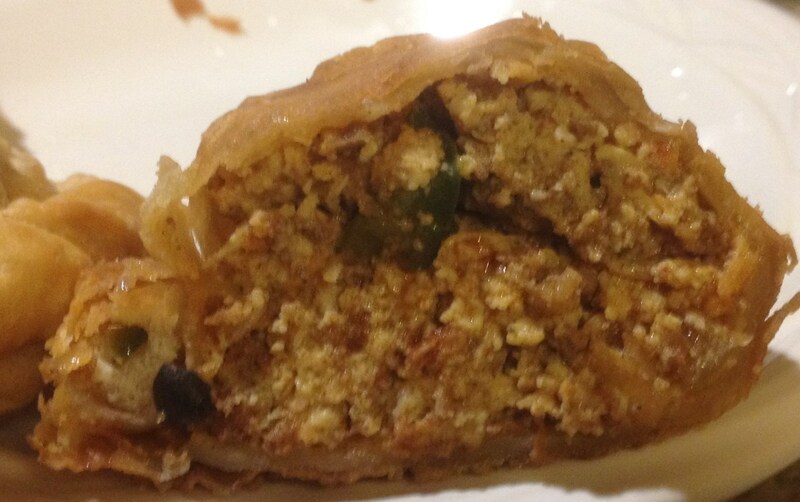 This was a mildly spicy affair and I would have been happy with just the sausage meat on its own, I didn’t need the pastry housing for this bite. 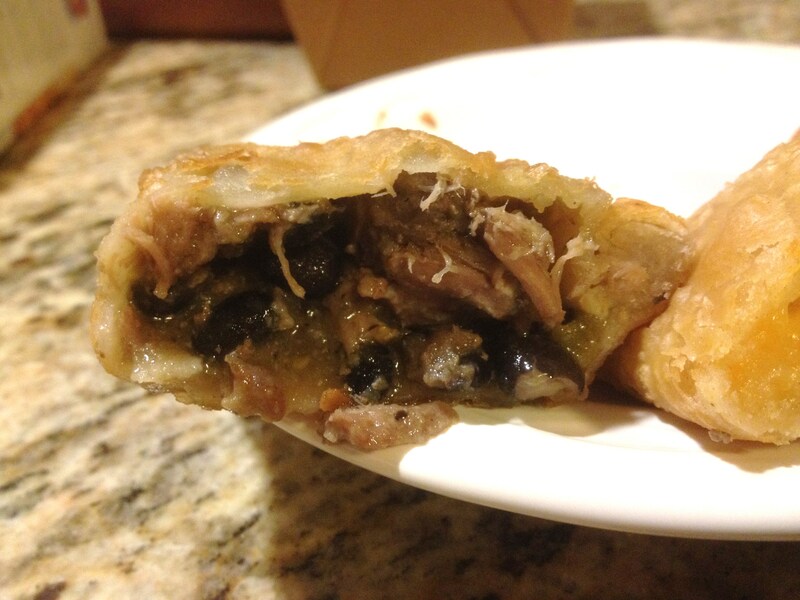 If you have succumbed to the delights of 5411 empanadas on Clark, then you might not be so willing to take a chance on another empanada from another neighborhood. I would implore you though to take a chance and come over to Southport to try these ones. They are twice the size, the pastry casing is flakier and a little more greasy (in a good way), and the filling, well its kind of more handmade, more rustically chopped, and it feels just a little bit less standardized. I like it, a lot.